Although BelAZ heavy trucks and BELARUS tractors are the most recognized Belarusian brands, the country is now accepted as one of the most comfortable business environments for information technology (IT) industry-development and as a preferred destination for IT outsourcing within Europe. When considering competitive strategies, more foreign businesses decide to out- source software development services to Belarus. With its population of approximately 9.5 million, Belarus hosts the think tanks of two of the largest and most established European IT software development companies out of the four located within Eastern Europe. The country is famous for its strong computer programming schools. There are 54 universities in Belarus, and 16 thousand graduates with information and communications technology (ICT) and related technical skills annually. “…Belarus has been a high-tech mag- net since Soviet times. Local universities still train up to 4,000 information technology grads every year. Belarus also produces world-class specialists in mathematics and physics”. leader in IT – and heavily exceeds that of Russia and Ukraine. territory. Today, the country is a leader in legislative improvement, which is also confirmed by the World Bank’s Doing Business 2015 Research: “property registration” (3rd place) and “enforcing contracts” (7th place). average Belarusian would laugh at the same things that an American would; their working process and way of doing business is similar to the American and European”. 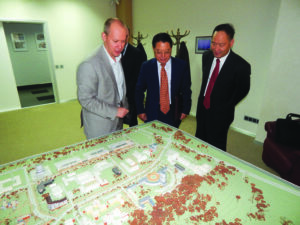 commitment by creating the Hi-Tech Park in 2005. By providing a special business environment for IT-business, Belarus’s Hi-Tech Park (HTP) in Minsk is currently one of the leaders among innovative IT clusters in Central and Eastern Europe. The attractiveness of HTP lies in the combination of advanced technical education, innovative and highly-qualified IT managers and government support. put into place until 2020. The legal conditions adopted for Belarus’s HTP are valid within the entire Republic of Belarus. This allows for utilization of the educational, scientific, professional and infrastructural potential of the whole country. Belarus’s HTP is attracting a growing number of domestic and international software and IT companies. It already includes 144 IT-companies with 22,000 soft- ware engineers who have been engaged in high-end software development and IT-services for customers in more than 56 countries of the world. HTP residents provide services to well-known global corporations, including Microsoft, HP, Samsung, Philips, Bosch, Toyota, Airbus, Honeywell, Reuters, Dun & Bradstreet, SAP, Oracle, IBM, Facebook, Google, Coca-Cola, MTV, Expedia and many others. Five out of the 10 world’s largest companies (according to Forbes) are among HTP customers. HTP also hosts the largest and most established European IT outsourcing providers in Europe. Five HTP resident-companies appeared on The Global Outsourcing 100, a list of the 100 best global outsourcing companies. 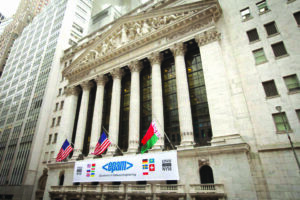 Founded by Arkadiy Dobkin in the USA and Belarus in 1993, EPAM Systems has become one of the leading global providers of complex software engineering solutions, as well as a leader in delivery capacity distributed across Central and Eastern Europe. Headquartered in the United States, EPAM employs more than 14,000 people in 19 countries across America, Europe and Asia, and its customers include UBS, Google, Expedia, Thomson Reuters and Adidas. The largest number of employees (around 5,500) work in the Belarusian office of EPAM. ”For sure, EPAM appeared in Minsk for some obvious reasons: there are a lot of IT professionals here, as well as specialized enterprises and universities. It cannot be lost. It is worth investing in“. Banking software is one of the major areas of specialization for HTP’s residents. A number of large HTP residents develop software both for domestic and foreign banks. More than 80% of domestic banks operate with software that is developed in HTP. Among the most famous foreign customers in banking and finance are Bank of America, Citibank, Barclays Capital, Deutsche Bank, London Stock Exchange, Raiffeisen Bank and many more. and has since become a world leader in this field. About 900 million people in 193 countries are using mobile apps developed by HTP residents. HTP has become the home of one of the hottest apps in the world. Viber, one of the top five most downloaded smartphone call and messaging apps, has over 500 million users. It was called “the Skype Killer of Belarus” by Bloomberg Businessweek. At the company’s start in 2010, the Viber development team consisted of 40 people and worked under the auspices of a Belarusian outsourcing software development company. After Viber became an independent company, a company-owned technology development center was set up in HTP. In 2014, Japanese E-commerce giant Rakuten bought messaging app Viber for $900m. Book of Records and was twice honored with the Oscar of the gaming industry – the Golden Joystick Awards. 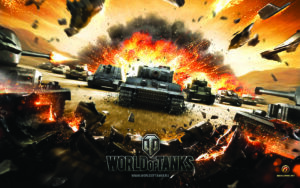 Since 2012, World of Tanks has also become a new cyber sport, being included in many national cyber sport championships all over the world and in the WorldCyberGames(WCG)program.